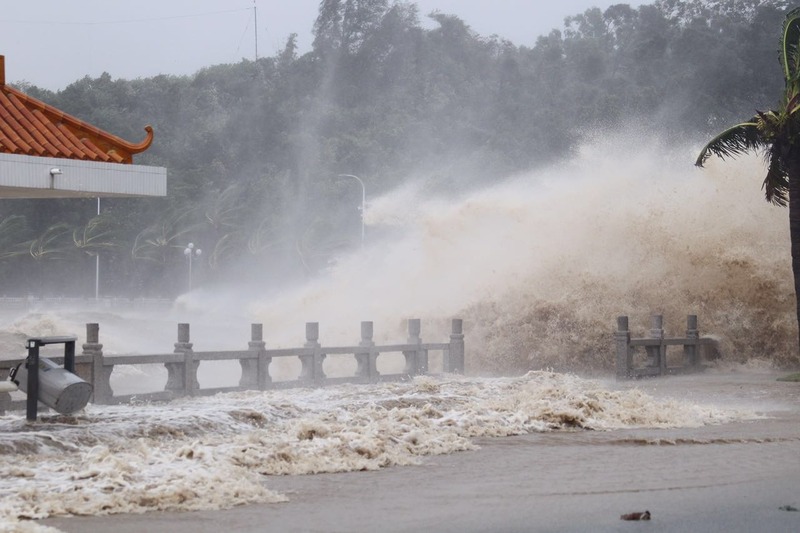 GUANGZHOU – The fourth typhoon of the year made landfall in coastal Guangdong Province in south China early Wednesday morning, bringing strong winds and heavy rainfall. The typhoon landed in Xinliao town in the city of Zhanjiang at 6:25 a.m., packing winds of up to about 70 km per hour near its eye, the local meteorological department said. All 404 ships in the city have been anchored in safe areas, the city’s marine bureau said.